Back in the summer of 2011, Communicarta and one of it's esteemed Chinese publishing partners, The Commercial Press, jointly launched Trapeze - travel with ease, in Beijing, with great success. Travel is enjoyable and we believe it should be made easy! Recognizing the innate desire for most people with smart devices to access travel planning information on the go, anytime, anywhere and all on one single device, Communicarta and its Chinese publishing partner, The Commercial Press, jointly launched Trapeze - Travel with ease, at a press conference in Beijing in July 2011, with great success. Trapeze is an iPhone and iPad travel planning application that helps travellers plan journeys on public transport systems in cities around the world, with ease. 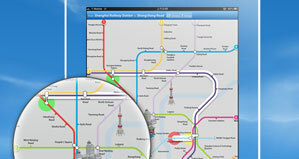 Communicarta Ltd, the transport map experts for more than 20 years, is proud to bring you THE BEST metro, subway, tram and bus maps currently covering 31 cities in one highly innovative and scalable app: Athens, Bangkok, Barcelona, Beijing, Berlin, Bilbao, Boston, Bucharest, Chicago, Dublin, Frankfurt, Guangzhou, Hong Kong, Istanbul, Kuala Lumpur, Lille, London, Madrid, Mexico City, Munich, Naples, Paris, Rome, Shanghai, Shenzhen, Singapore, Sydney, Taipei, Valencia, Washington. We're working on many more cities and will soon be adding New York and Milan. Further development of the product is on-going and we expect to be able to announce some very neat features in the New Year. Watch this space. Following extensive negotiations with our partner in Beijing, The Commercial Press, Communicarta is proud to announce that it has secured an exclusive contract to provide innvovative and ground breaking development services in the production of a unique iPad application "Linguap Chinese - Learn Chinese on the go!" This will initially be an iOS application specifically for Apple's iPad device. Future development will include the iPhone as well. The Commercial Press, one of the most well known publishing companies in China, is a leading authority in the field of language reference books and it is this expertise when married with Communicarta’s cutting edge application design knowledge that has led to the development of the innovative language-learning app, Linguap Chinese. 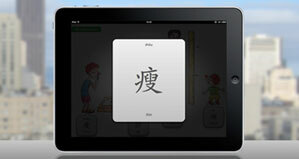 The app will help English speakers learn Chinese in a simple, interactive and fun way. It has a unique approach to the complicated process of learning to write Chinese characters, where the app will guide you step by step through the writing, showing the direction, the style and the flow of each character. The app, which is rich in pictures and illustrations, promotes learning Chinese for all ages and for all levels. It also contains interactive games that reinforce the user’s learning. • By categorizing its contents according to the International Curriculum for Chinese Language Education published by the Office of Chinese Language Council International. Walk into any bookstore and pick up a copy of an AA, Thomas Cook or National Geographic travel guide and chances are you will find one of our well designed, clear and easy to use city transport maps inside. It's because we have independently researched and designed more than 140 of these over the last 20 plus years that our clients trust us with their transport mapping needs. 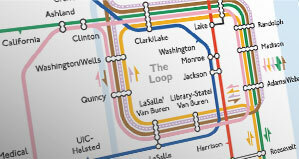 Our easily recognizable maps can be found in more than 430 different publications and has helped millions of people easily navigate subway, metro, tram, bus and even river bus systems around the world. This summer, for the first time, you will be able to experience our user-friendly, beautiful and lovingly crafted city transport maps, on your iOS or Android devices. Travelmappers will be available to download as a webapp on to your mobile devices, bringing you a world of travel opportunities.